Occupational hearing loss is a significant risk for employees and a common cause of workers’ comp claims. Fortunately, there are many things you can do to protect your hearing at work. If you do suffer hearing loss, contact a workers’ compensation lawyer in Baltimore to determine what steps you should take next. Start by recognizing the risks at your job. If you work around heavy machinery, at an airport, in landscaping, or as a first-responder, your hearing could be in danger. Once you understand the risks, determine what kind of device, from earplugs to protective headphones, will provide the best protection for your ears at work. Your employer also has a responsibility to provide training about hearing protection and to set workplace rules that require employees to use protective gear as appropriate for the environment if hearing loss is a risk. If you have suffered hearing loss on the job, talk to a workers’ compensation attorney. He or she can help you determine what steps you should take to get the compensation to which you are entitled. If your loved one who was receiving Social Security benefits passes away, you may be entitled to survivor benefits. These benefits help a spouse or children cope with the financial burden of losing a loved one who received monthly disability payments. If your spouse or parent was receiving Social Security disability benefits and passed away, you may wish to consult with an attorney in Baltimore to ensure that you get the survivor benefits to which you are entitled. Here are the facts you need to know. 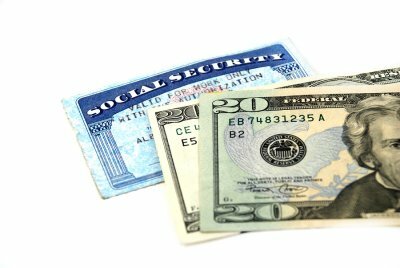 Survivor benefits are paid to a spouse or child after someone receiving Social Security disability payments passes away. The amount of benefits you can receive depends on a number of different factors. If you are at retirement age, then you can receive 100% of your spouse’s benefit. If you are under retirement age, however, you may receive less. The Social Security Administration considers several factors when awarding survivor benefits, so it can be helpful to have an attorney with experience in Social Security disability law apply for benefits on your behalf, to avoid complications. Can adult children receive survivor benefits? In most cases, survivor benefits for children are restricted to unmarried children younger than 18. Adult children who are under 19 and in high school full-time can receive the benefits, and adults who are disabled and were disabled before age 22 can also receive the benefits. Children of any age who receive benefits get 75% of their parents’ payment. Except in the case of qualified adult children with disabilities, payments stop within one month of the child’s 18 th birthday or within two months of the 19 th birthday if the recipient is still in high school after 18. Can divorced spouses receive disability benefits? Surviving divorced spouses can receive benefits in some cases, provided that they are still unmarried and meet certain other criteria. If you remarried but then divorced again or became widowed, you may still be able to receive disability benefits. These rules are complex, and your application is more likely to be successful if an experienced attorney guides you through the process. If you work in an environment in which you could potentially be exposed to blood-borne pathogens, then your employer has the responsibility to take certain precautions for your safety. After you’re exposed to pathogens, consider calling a workers’ compensation attorney in Baltimore to see if you should consider legal action. To find out about the steps both you and your employer must take to protect yourself from pathogen exposure, watch this video. Your employer must provide adequate training to you so that you reduce your risk of exposure and have a procedure in place to deal with a potential exposure should it occur. If you become ill because of pathogen exposure at work, you may have a workers’ compensation claim. Contact a workers’ comp attorney as soon as possible after the incident to protect your rights. Does Your Car Have an Emergency Kit? If you experience a car accident near your Baltimore home , an emergency kit could be an essential part of mitigating injuries for yourself and your passengers. The right time to think about an emergency kit is now, before a car accident occurs. Here are some tips for putting together a kit that has the things you need in the event of an accident. 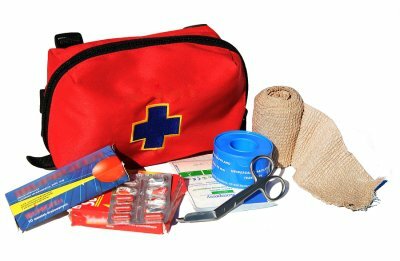 A first-aid kit is the foundation of any good emergency kit. Make sure yours is stocked with Band-Aids, gauze, antiseptic creams and wipes, and aspirin or another pain medication. If your family has special medical needs, these supplies should be in the kit as well. For instance, if someone in your family has diabetes, keep glucose tablets or gel or another non-perishable source of sugar on hand. You will still need to get emergency care after a car accident injury, but having basic first-aid supplies can help you cope with an injury until the first responders arrive. Whether after a car accident or during a roadside emergency, having basic repair tools can be handy. Keep things like jumper cables, tire foam, and a multipurpose utility tool in your kit. You should also have things that can assist with repairs and general safety, such as gloves, rags, duct tape, and a flashlight with extra batteries on hand. A tire gauge is also a useful tool. Having a charged cellphone is essential every time you get behind the wheel. Charge your cellphone every time you get in the car, and keep a spare charger in your emergency kit. Some people find it helpful to have a backup phone with a portable charger in their kit as well. Because you never know what is going to happen on the road, consider programming the number of a car accident attorney into your phone so that you can always reach a lawyer when you have been injured and need to act quickly to preserve your rights.